If you are reading this and you have IBS, you know why IBS is a dirty secret. Irritable bowel syndrome can be an unwanted and frequent visitor to migraine, fibromyalgia, chronic fatigue syndrome, TMJ, chronicpelvic pain, menstruation, or even panic disorder. We are about to get to know each other up close and personal, very personal. 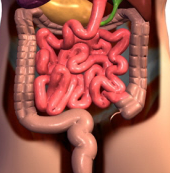 The effects of having an irritable bowel (spastic colon) are things we don’t want to talk about. Those of us with it know there is a great deal more to it than pain, abdominal cramping, gas, and water loss diarrhea. We can be awakened from a dead sleep, spend hours (literally) sitting on a toilet, or we can simply be riding in a car when out of the blue, our bowels move faster than the speed of light, severely limiting the necessary amount of time for our intestines to extract nutrients. Then as the attack intensifies, an explosion occurs with the force of an atomic bomb, or so it seems to us. What should be staying in the small bowel to help with digestion makes it way out of our body causing our surrounding area to become inundated with gases that would have animals scurrying for cover. Yes, that is where the foul odor, and I mean foul, comes from. It comes from the small intestine, which is rich with important enzymes to aid in digestion. It is NOT supposed to leave the area. but in IBS, it does. Next comes the after effects. Digestive enzymes extract nutrients for cellular strength, and our electrolytes, which are necessary for maintaining physical balance in the body are gone too. All the friendly stuff that keeps us out of harm’s way is suddenly in the wrong place at the wrong time. We are without sleep, disrupted from a normal life, drained (quite literally), and embarrassed. We are robbed of healing capabilities, and our social life is affected. Accidents are embarrassing and are probably our best kept secret. After all, who wants to talk about losing control of your bowels in a public place? For those without IBS, they would only think that is accidently having a normally formed stool in their underwear that can be dumped in a toilet, evidence thrown in the trash, and no one knows. For those of us with severe IBS, it is much different. I won’t go into extreme details, but I think the first part of this blog pretty much spells, and smells, out what it would be like to be in a public place when this happens. I think most people would be embarrassed to have to tell a friend or relative driving somewhere that you must stop at the gas station on the corner NOW! Those of us with irritable bowel syndrome have learned to accommodate the unwanted nature of such an important body part. We always know where the bathroom is when we enter any building. I carry a coffee can and roll of toilet paper in my car and have for years. I have used that coffee can many times, but other than my husband, no one knew until now, not even my co-workers, not even my doctor. After all, who would really want to hear such a story? I suppose I should have been this graphic with my doctors, because they really don’t seem to understand the implications of this “functional” bowel disorder. It’s not a disease so it can’t be that bad, right? WRONG! So, to all my fellow IBS friends, when you tell me you have irritable bowel syndrome, I know exactly what that means. After two recent embarrassing episodes, and many years down the road, with symptoms now exacerbated by diverticulosis, I decided it was time to come clean on this dirty little secret. You can read more on IBS and things you can do that might help on my website at the link here. It has made me pass out and bust my head open. I have had it since I was very little. Celeste, thank you for this article. So many people are lost, even with a diagnosis, and you have given us all something to relate to with various conditions. I thank you and I would be interested in any information you dIscover. I read an article which states there is now a blood test to diagnose FM.. Epigenetics is the developer. Try www.FMtest.com also. There is another study that supports a blood spot test, published August 2013, Hackshaw, et al. I plan to write another blog as time allows. Keep up the good work of spreading the news. Another side effect that shows IBS is much more than "just a functional bowel disorder." Wonderful article. I am writing to introduce myself and my company. I own a website (puristat.com) dedicated to digestive wellness and would love to have you take a look around and let me know your thoughts. We also have some articles about IBS. Kenny, yes, I do get a great deal of spam, some chances for networking, and some legit folks just wanting to make a supportive comment. Generally, I can see by the text when someone is not speaking good English, which puts me on alert and I don't put the post through. I set my comments to review for notification before allowing it to post. That helps, because I can check out the link in a signature line before accepting the post. If it takes me to a page unknown, it doesn't get posted. BTW, like your writing style! And, thank you for stopping by.